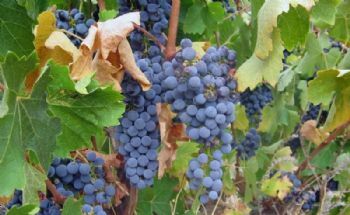 In this research the phenology of Cabernet Sauvignon was evaluated under present climate and a future climate change scenario. Two regions were compared: Ribera del Duero and Penedès, located respectively in the center and northeast of Spain. In Ribera del Duero, vineyards are cultivated between 700 and more than 1000 m a.s.l, while in the Penedès they are located between sea level and about 800 m. Annual rainfall in both regions ranged between 400-600 mm, with wet winters and dry summers. However, in the Ribera del Duero, the climate is more continental with long, cold winters and sudden temperature changes throughout the year, while the Penedès has a mild and temperate climate with high insolation hours. Keywords: climate change, phenological dates, Penedès, RCP4.5, RCP8.5, Ribera del Duero, temperature.